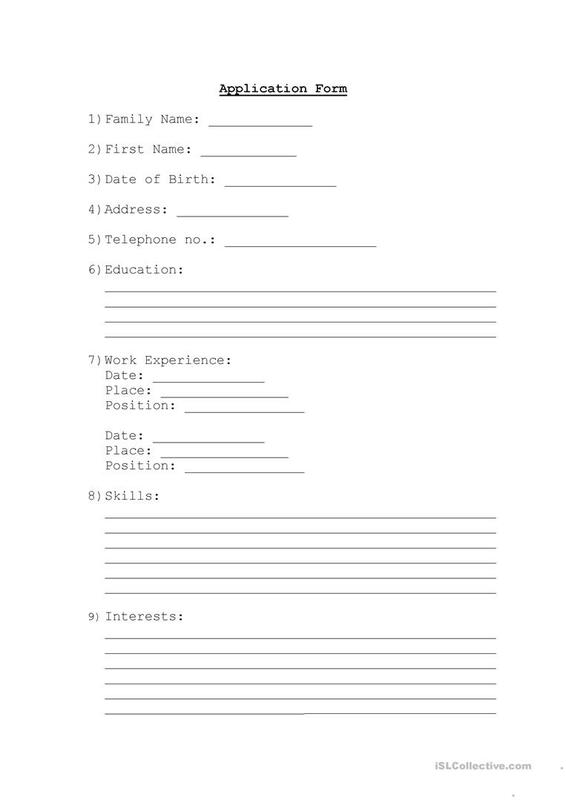 This is an activity for students to practice writing their own job application form. The above downloadable printable is best suited for business/professional students, high school students and adults at Pre-intermediate (A2), Intermediate (B1) and Upper-intermediate (B2) level. It is useful for strengthening your groups' Writing skills. It is about the vocabulary topic of Jobs, work.